It has been pointed out that for the next Salt Lake City Research Trip, that we published the wrong ending date in Upfront with NGS. The correct dates for the trip are 30 January - 6 February, 2011. Click on the title for full details -- all of which are as previously posted. Apologies for any confusion. You may have seen some of the recent announcements about the release of a DVD of this wonderful program; considered by many one of the highlights of the NGS 2010 Family History Conference in Salt Lake City, Utah. The much talked about Thursday evening spectacular hosted by FamilySearch, A Celebration of Family History, was a once-in-a-life time event that will never be forgotten by those in attendance. And thanks to FamilySearch, all will now get to experience this wonderful event via this DVD. 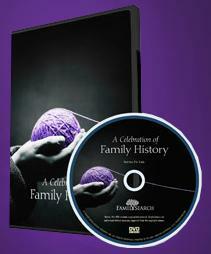 FamilySearch is offering NGS members and conference attendees a complimentary copy of the A Celebration of Family History DVD. Details on how NGS members may request their copy will be in the next edition of the Quarterly and non-members who went to the NGS Family History Conference will receive an e-mail with the needed details. A Celebration of Family History DVD features a tribute to family history through music, stories, and the captivating words of David McCullough, renowned author and historian. It includes musical numbers by the Mormon Tabernacle Choir and Orchestra at Temple Square as well as inspiring video presentations showing the impact family history can have on individual lives. A bonus DVD, Keynote Address and Tour of the Granite Mountain Records Vault, will be included complimentary in your shipment. This DVD contains the NGS 2010 Conference keynote address by FamilySearch president and CEO, Jay L. Verkler, as well as video tour of the famous Granite Mountain Records Vault, with its repository of over 2 million rolls of microfilm. Whether or not you attended the conference, we know you will enjoy these DVDs! The last couple of weeks my inbox has been filled with news from the National Archives and Records Administration (NARA) and it’s now time to share with you all the great things that are happening! 1. In response to user requests, for the month of November 2010, the National Archives at College Park, Maryland (Archives II) will undertake a pilot program to provide archival records retrieval service for textual records on Saturdays. Check out the details of what records can be pulled, pull times, etc. As an aside, I have to laugh as I will be at NARA II on Friday, October 29th, after waiting for three months to find a weekday when I could visit! At least visiting in the future might be easier if this is a success! So, do let everyone in the DC metro area or with planned November visits know about this and show that they support this increased access to our National records. 2. 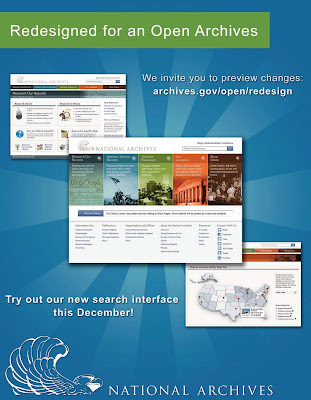 Archives.gov, the website of NARA, is getting a redesign. Initially announced in July, you will be able to preview the redesign at the 14th Annual Archives Fair to be held 27 October 2010. As this has been an ongoing project, at the redesign page you can see what has already transpired with regard to this initiative. I think this next bit of news is just a lot of fun! Though it’s not increasing record access through a redesigned website or allowing pulls on Saturday at NARA II, it gives a fun perspective on our National heritage. • Go to a collection of iconic photos at NARA’s Flickr History Happens Here! photostream, select one in your area or that you will be visiting, and print it out. • Hold the picture up in front of the building/landmark, and take a picture of your augmented reality. We always enjoy looking at older photos of our ancestors and now here’s a chance to share older photos, juxtaposed against modern reality, of our iconic landmarks! Think your friends, colleagues, or fellow genealogy researchers would find this blog post interesting? If so, please let them know that anyone can read past UpFront with NGS posts or subscribe ! What a great combination – NGS and YouTube! Warning: Once you start watching these videos on YouTube, you might find yourself addicted to Genealogy (if you aren’t already)! Do You Like “To Test” New Things? If you answered yes, go check out the new Ancestry.com Labs. Many of you may be familiar with FamilySearch Labs, a similar area which has been run by FamilySearch since 2007. The first idea you can test is called “Person View.” It’s a new way to search the Ancestry.com collections and also a way to find records on the web that match your query (from outside of Ancestry.com’s collections) and then link these external records to your family tree. You can access Person View from the labs website and you can see a quick demo of how Person View works. Do check out both of these "Labs" sites. They provide a great opportunity for you to provide feedback to these genealogy resource providers about how to best deliver their information to their customers! October sure is a busy month! Since I'm writing this on the 15th and this event is tomorrow, the 16th, I figured I'd better get the news to you before it's too late! Home Movie Day events provide the opportunity for individuals and families to see and share their own home movies with an audience of their community, and to see their neighbors' in turn. It's a chance to discover why to care about these films and to learn how best to care for them. Your home movies are probably a lot more interesting than you remember! Most Home Movie Day events are free and open to the public, and offer expert evaluation of films brought in by participants as well as an opportunity to see your very own films in an open screening. If you have home movies on film that you've never seen, or haven't watched since you inherited them from your grandparents--don't let your films decay! Take them to Home Movie Day! Click here to find the Home Movie Day event nearest you. Though I won't be attending this year, here is a still from the oldest home movie I have. This was taken 1964 or 1965 and it is my dad, my sister Debbie, myself and my mom. And, it's fitting for me to post this photo today as my mom would have been 73 today if she was alive. Even my gap-toothed cat-eyed glassed grin doesn't take away from how happy we all look. You may find that you have hidden "gems" like this stored away on your own home movies. Even if you cannot attend a formal event, blow the dust off your stored movies, sit back, watch and enjoy. Family Tree Magazine has compiled a list of 75 stellar sites for doing research from Alabama to Wyoming. These are all state-focused websites. Since we’ve been talking about National Archives Month and Family History Month, what a great resource to help you join in this month-long celebration of your ancestry! So, just because you may not physically be able to visit the state archive that may hold your ancestors' secrets, this doesn’t mean that you can’t gain access to the wonderful collection of materials it holds. Have you been considering a research trip to Salt Lake City (SLC)? If so, the planned NGS Research Trip to SLC scheduled 30 January-6 February 2011 might be just the opportunity you’ve been hoping for! 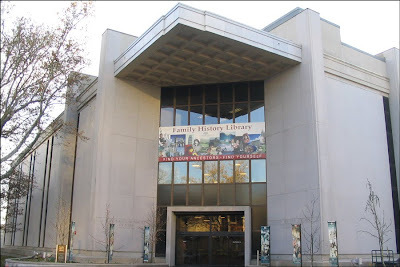 The Family History Library in SLC is the largest genealogical library in the world. You will have access to more than two million rolls of microfilm (more than 142,000 square feet on five floors), hundreds of thousands of microfiche, and a huge collection of genealogical books. The library opens at 8:00 a.m. and closes at 9:00 p.m. every day except Monday when it closes at 5:00 p.m. It is closed on Sundays and certain holidays. Back in 1990 I drove from New Jersey to SLC to spend one week doing research into my ancestry, which included Finnish, English, and other ethnicities, at this facility. The ability to easily access microfilm and have so many books at my fingertips was a delight! 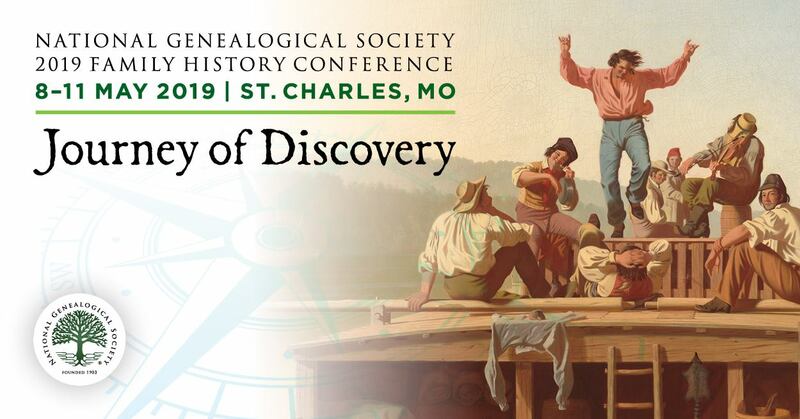 I think every genealogist would enjoy spending such a week. The planned NGS Research Trip is such an opportunity. If you take this trip, besides access to the largest genealogical library in the world, you will also have the benefit of two experienced trip directors to help you navigate both the records and the layout of what is a large facility. When visiting such a large facility, access to experienced trip directors can really help facilitate the speed and ease with which you are able to do your research. The trip is limited to thirty attendees and the deadline for registering is 1 January 2011. Full details are available on the NGS website. 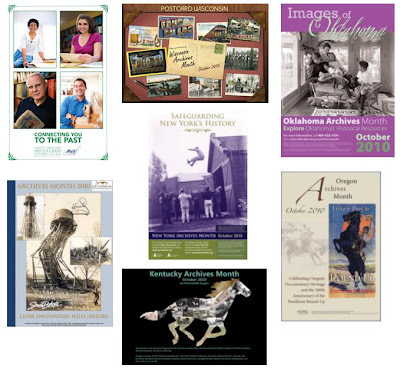 What a great way to kick your family history research into high gear for 2011! What a great month for genealogists and family historians! Besides National Archives Month which we’ve already talked about, October is also Family History Month. There were similar declarations made in subsequent years. Though it has been a few years since Congress has made such an “official” declaration, the tradition of celebrating family history in the month of October remains as various localities and states, such as Virginia, continue to proclaim October as Family History Month. One recommendation frequently made as a way to celebrate this month is to join a genealogical society! Any genealogist can benefit by joining their national society (NGS), a state society (conduct a quick search on your state’s name and genealogical society), or their local community’s genealogical society. Many state societies maintain a database or list of county-level organizations. Regardless of whether you are a member or plan to join a genealogical society, do see how Family History Month is being celebrated in your community. There are many free and open to the public events being held around the country this October to help bring family historians together. I was just reading about all the exciting programs taking place to celebrate North Carolina Archives Week and was reminded that October is National Archives Month. The slogan for the 2010 month-long celebration is “I Found It In The Archives.” This means that once again archives all across the country are celebrating with special events and activities designed to raise public awareness of the role of archives in our daily lives. National Archives Month is an opportunity for large and small archives to raise awareness about the value of archives and archivists. As genealogists and family historians, we know that both archives and archivists are critical to the success of our research. How many times have we been helped by an archivist who pointed us in new research directions, made us aware of an obscure document collection, or just made sure we knew how to use the archive? The Council of State Archivists keeps a running list of events of participating states. See if your state archives has some fun and educational activities scheduled. Several state archival organizations have produced posters to mark the occasion. Please enjoy this gallery of some of those posters! In celebration of Columbus Day join us at the National Archives in Washington, DC, as archivist Reginald Washington takes us into the stacks to see how our forebears’ Civil War pension files are stored. Wonder with John Humphrey, CG (SM), over German language documents from a New York City church in his ancestor’s file. Appreciate viewing the Declaration of Independence with John as he contemplates his ancestor’s public reading of that great document in Easton, Pennsylvania ,on 8 July 1776. Also showing, for members only (Log in, click on the Members Only tab, and then click on NGS Videos in the sidebar menu). Wishing you a pleasant holiday weekend – and enjoy the shows! NGS’s newly-revised (2010) Creating a Winning Family History by Carmen J. Finley just got a shout out from Michael LeClerc of the New England Historic Genealogical Society (NEHGS) in the September 29 edition of The Weekly Genealogist. We are reminded what a great resource this book is! Whether you’re writing for your family, for posterity, or to enter the NGS Family History Writing Contest, you want your family history to receive the attention and accolades your work deserves. Creating a Winning Family History helps you meet that goal by providing guidance and suggested resources. Though the last two publications are currently not available in print, NGS members can access these in PDF format through the NGSQ Archives. As we all know, it can be challenging to write a comprehensive yet clear and engaging family history. Let these resources help ensure that your family history is everything it can be. The print version of Creating a Winning Family History can be purchased for $10 (members) and $12 (non-members) plus S&H. There is also a downloadable PDF version for $6 (members) and $8 (non-members). Think your friends, colleagues or fellow genealogy researchers would find this blog post interesting? If so, please let them know that anyone can read past UpFront with NGS posts or subscribe! The National Archives and Records Administration (NARA) had recently enriched its researcher resources with the acquisition of the digitized U.S. Serial Set. This fabulous genealogical resource is now online and fully text searchable at all NARA facilities nationwide. See the press release below, and the NARA Web site, for additional details. It is hard to overstate the value of this digital collection for genealogists, historians, academics, and other researchers. It is yet another reason to visit a NARA facility for on-site research. Washington, DC… The National Archives and Records Administration will make available the LexisNexis® U.S. Serial Set Digital Collection of US Government publications to the public free of charge in all NARA research rooms nationwide. The U.S. Serial Set is a collection of U.S. Government publications compiled under directive of the Congress. It contains comprehensive and often detailed information on an extremely wide range of subjects. Its earliest documents date from 1789 and additions are made continually. The LexisNexis® U.S. Serial Set Digital Collection provides researchers — whether novice or advanced — fast, immediate access to this broad collection of historical congressional information. This digital collection is powerfully indexed, easy to use, and lets researchers search across multiple other collections for more comprehensive results. Researchers can access full-text, original documents from the pages of the original U.S. Serial Set. This Serial Set is the latest addition to the list of online commercial resources that NARA makes available free of charge to all researchers at its research facilities nationwide. 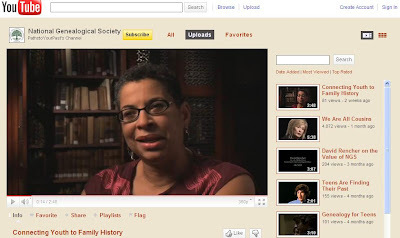 Other free online resources at NARA facilities include Ancestry.com, Footnote.com, JSTOR, ProQuest’s& Research Library, HeritageQuest, Archive Finder, Digital National Security Archive, and digital New York Times and Washington Post, as well as EBSCO’s America: History and Life and Gale’s Biography and Genealogy Master Index and Declassified Documents Reference System. Together, these resources provide free and open access to digitized NARA records as well as contextual information about NARA’s holdings. 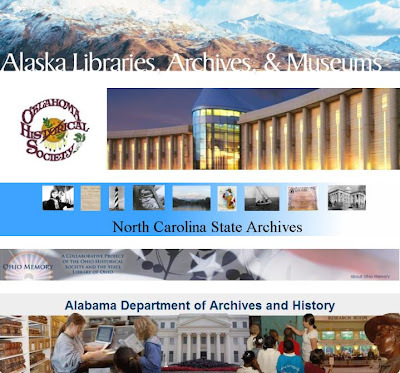 For more information on these resources, see NARA’s Archives Library Information Center at http://www.archives.gov/research/alic/. For information on NARA research centers nationwide see http://www.archives.gov/locations/archival-research.html.